Drought, drought, go away! You’re makin’ me already use my hay! 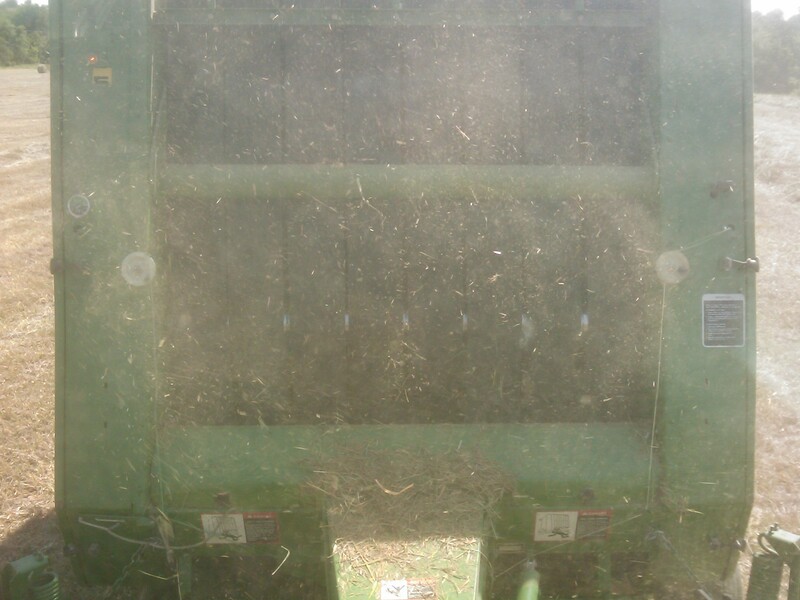 June 18th…1st day to begin feeding cows hay. 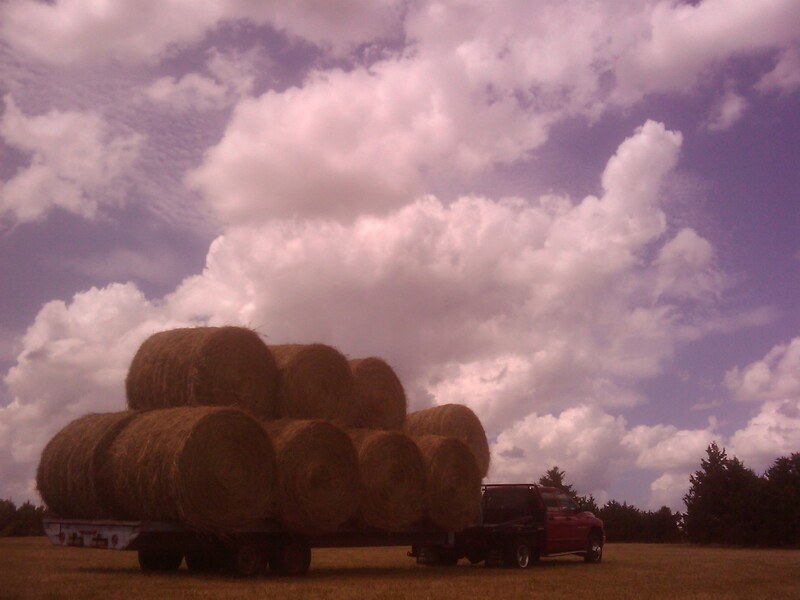 At the beginning of my haying season, May 22, 2012, the bales were weighing 1,340 pounds. 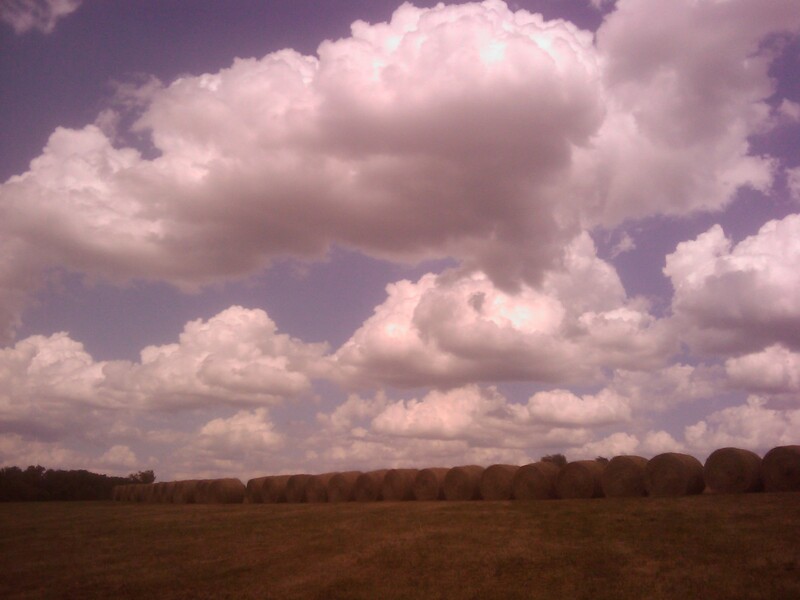 The last bales are averaging 1,080 pounds. 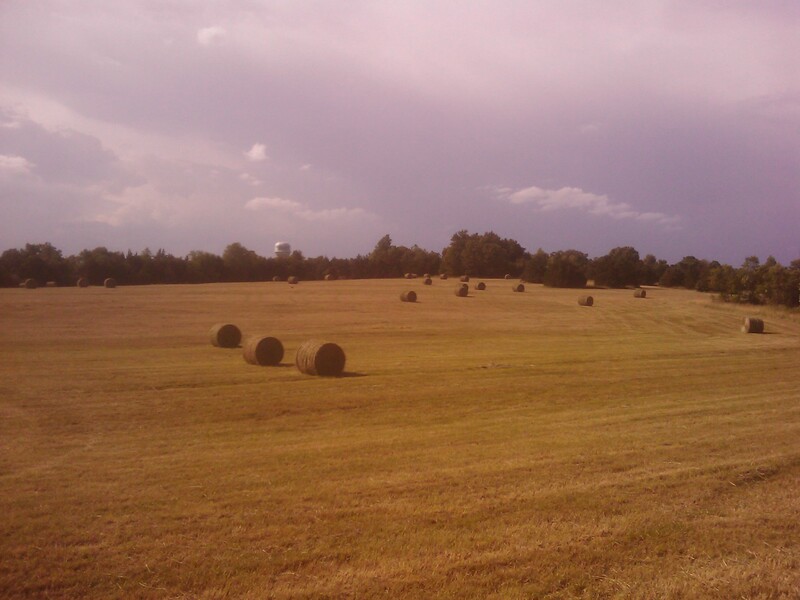 The bales are the same physical size but it’s the nature of being in the throws of a drought. The grass season sped by in a matter of 3 weeks instead of the normal several weeks. Generally, each year the bales on this particular place will easily weigh 1,345 pounds. Sure is going to be an eye-opener when I calculate up the cost of production versus the yield of tonnage produced. 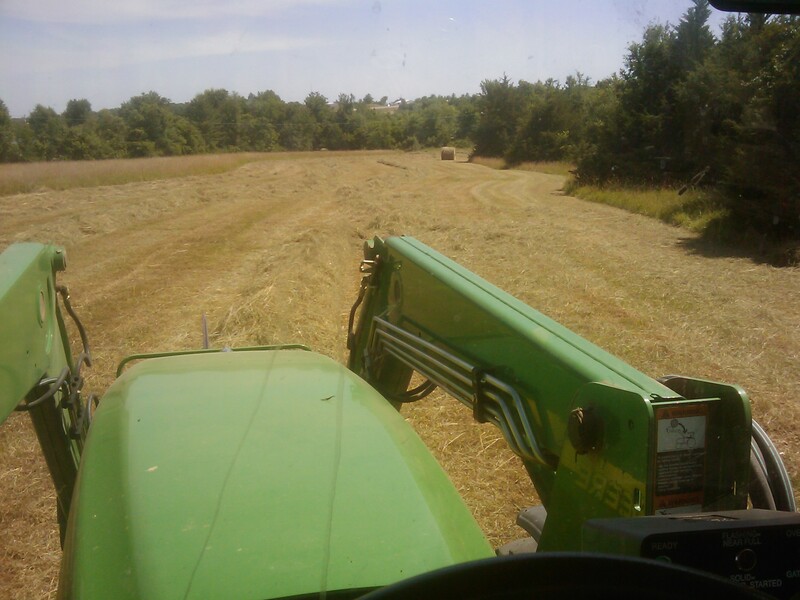 June 20-21…the hauling of my own hay field labors for 2012 is complete…yippee!! 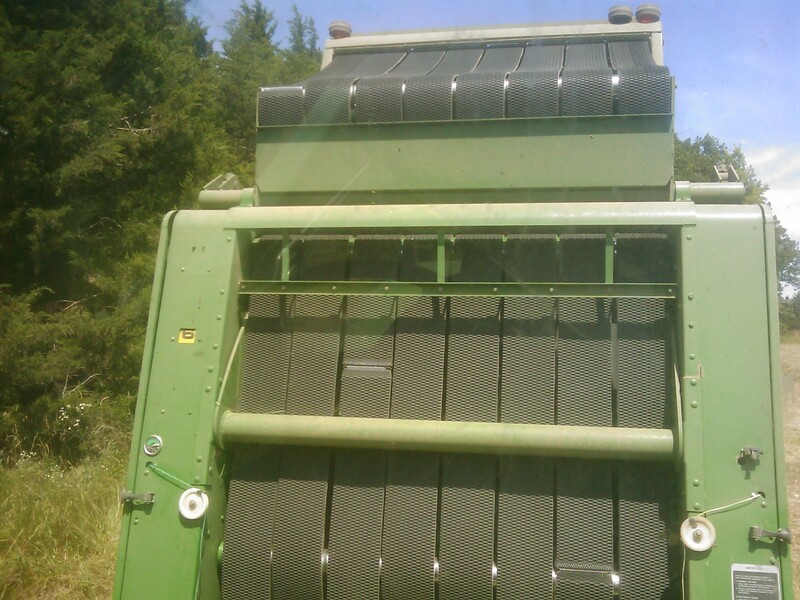 Wrapping up the baling for 2012! Left home at 12:27 and got home at 8…now to celebrate! 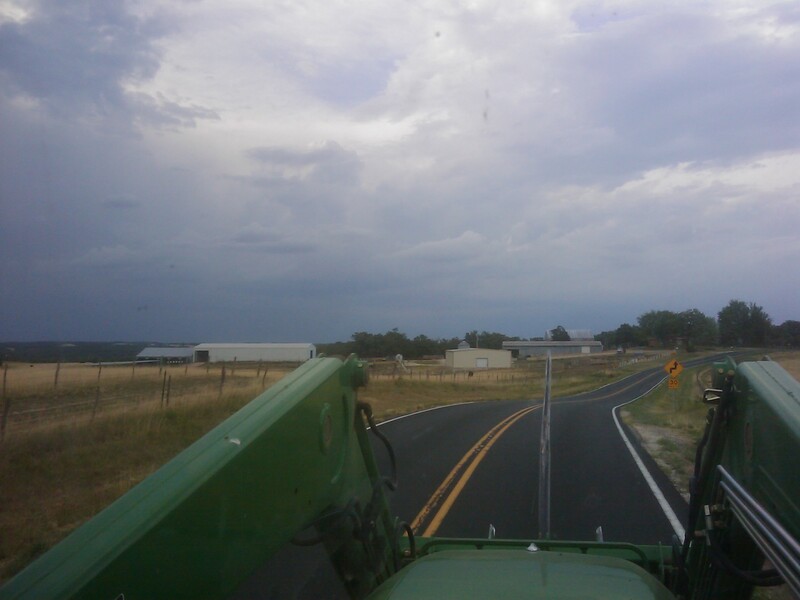 Get these babies hauled home and I will be glad to get on to something else…like puppies to start on cattle! It looked like rain, but as they say, “No cigar.” Lotsa lightening and a spritzle to wet the sidewalk. Tied on hard & fast! 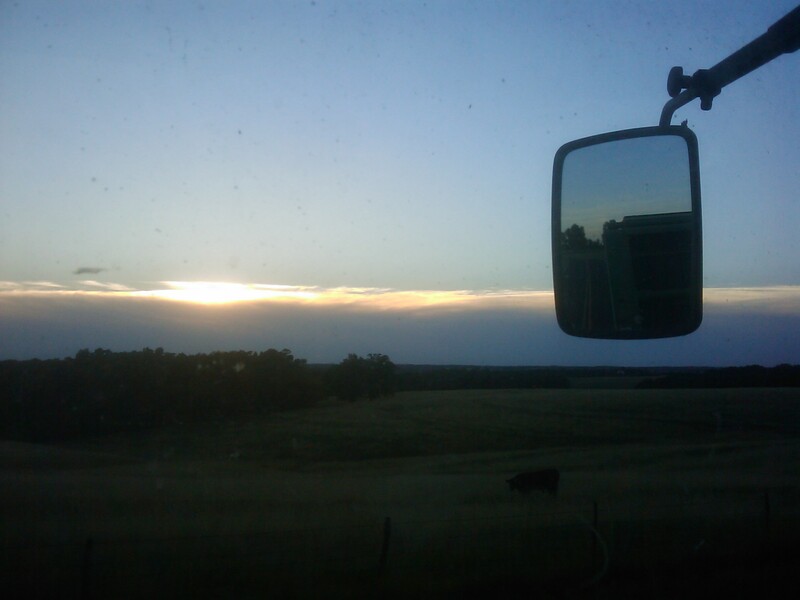 June 14th…More of the up and gone by 5 a.m. and home by 10:30 p.m.
Phew, back to the hay field. It is disgustingly dry and nasty dirty. 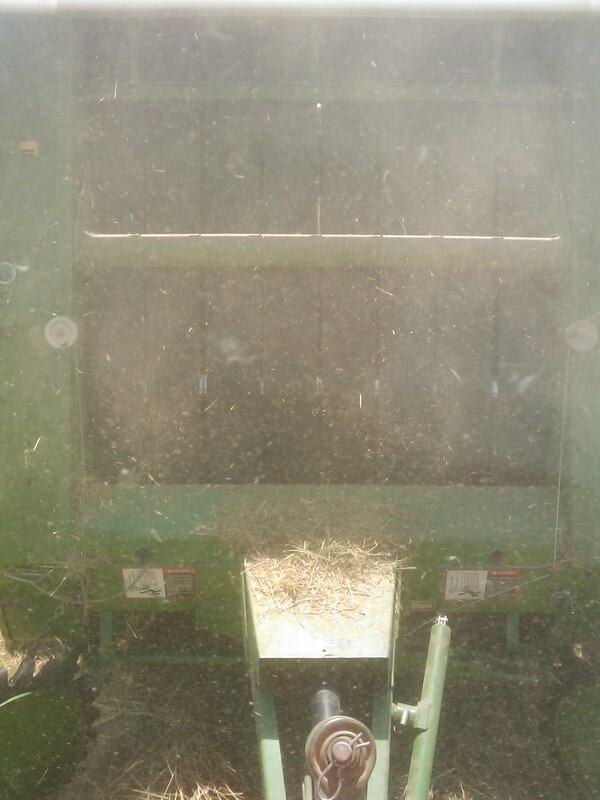 Them-thar cows best appreciate all this! I feel like the squirrels…packin’ away the goods for winter. But at the current rate of “no rain in sight” we will be feeding some of this in a week or two. 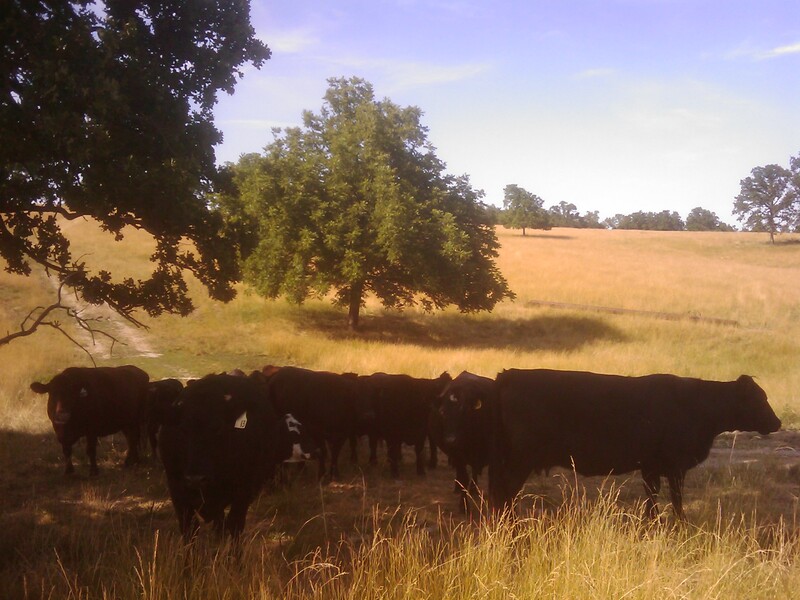 Cowdogs & Cattle…Pouring Cattle for Those Dang Flies! I took 6 cowdogs and gathered cattle at several places. From 11 to 4 we gathered & poured 319 hd. of cattle. It was about 87 degrees, a tad humid, just a little breeze and not too dusty because of the 2-tenths rain we got yesterday morning. Nearly a perfect day and dang sure going to be one of the last “not so hot” days until probably September! 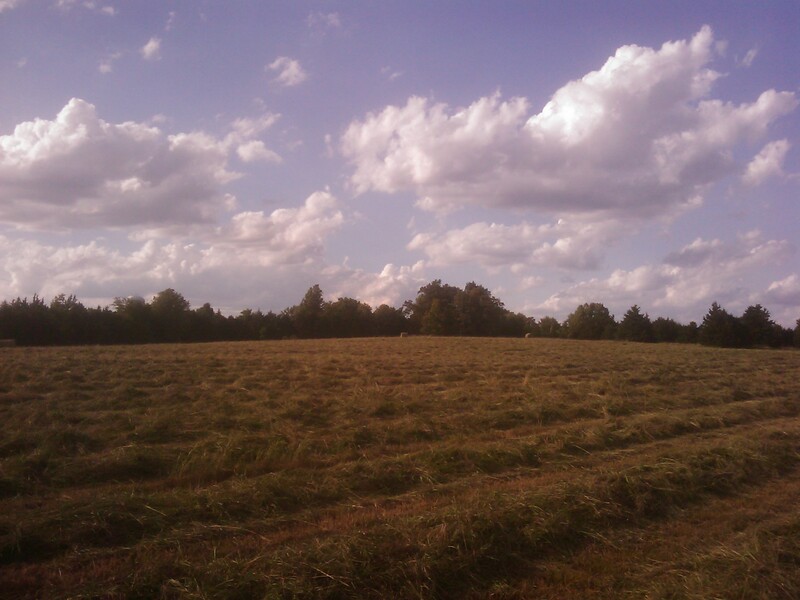 So we took advantage of the day and just skipped the notion that we need to mow hay! It’s that time of year when the grass seed heads are brutal on the cowdogs. After every pasture gathering, I took time to clean their eyes out. Their eyes were packed with fescue seeds. Can you imagine how painful this is? 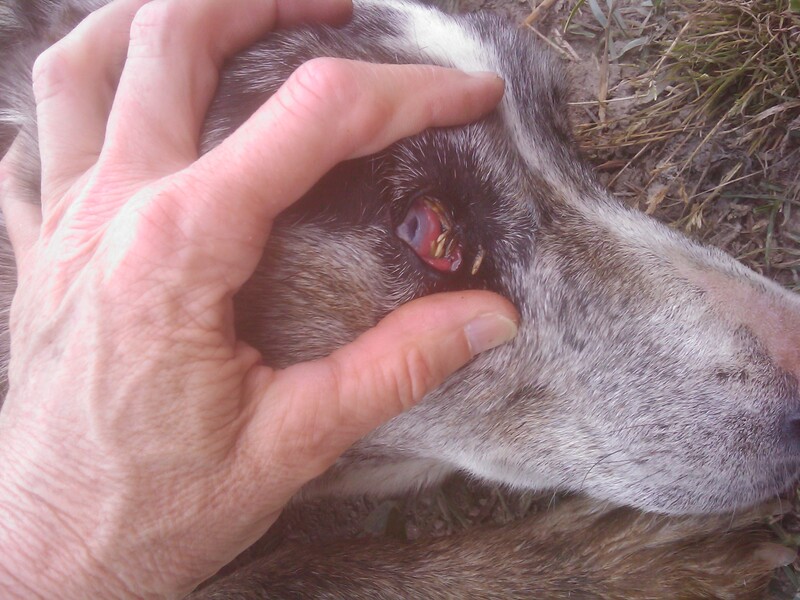 Will have to watch them carefully for a few days to make sure there is no infection setting in. These cowdogs are sure troopers to have the “never give up” drive to go through each pasture and gather more cattle…despite the fact that they know their eyes are going to pay the price. And they also inhale a ton of seeds too. It is not easy work…that is for sure. I love my Hangin’ Tree cowdogs and they deserve the best care that I can give them. I would not want to be in the cattle business without them. 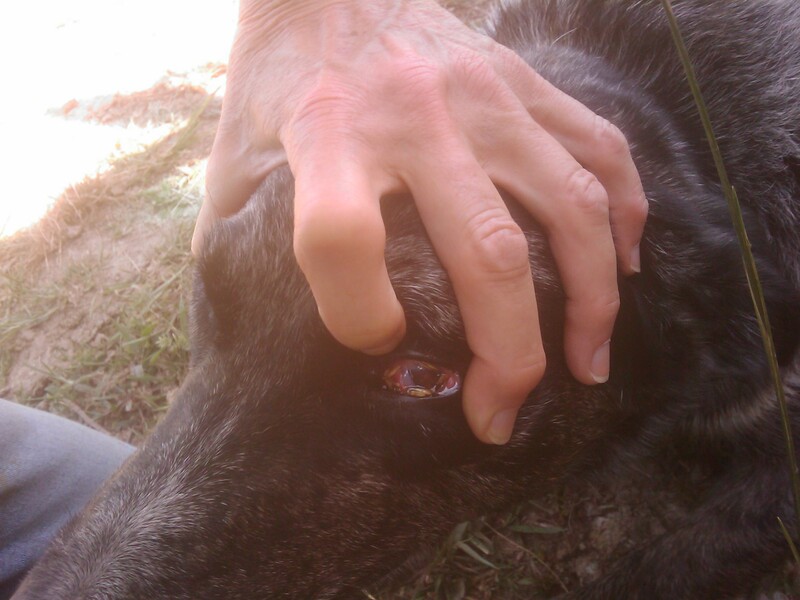 My dear Bert sure is missed, but, nearly 2 years later I can see now that he is still with me every day. 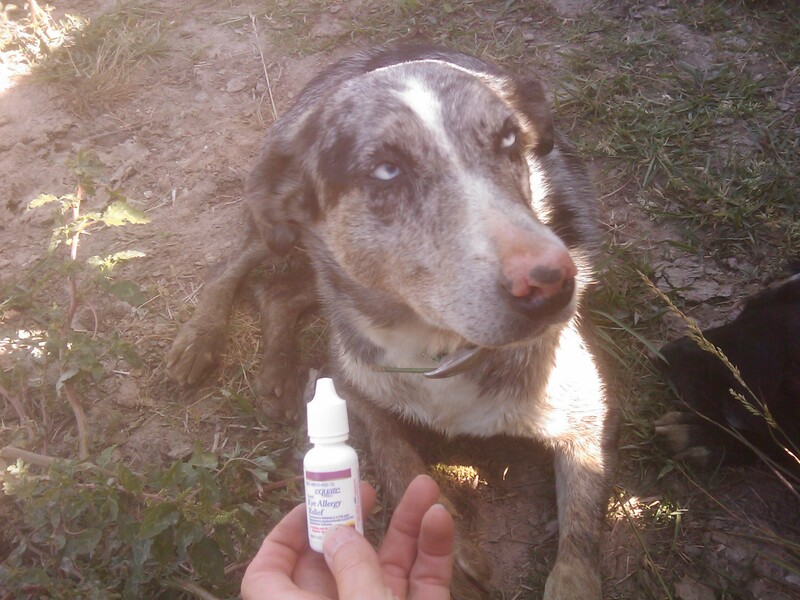 The black cowdog in this post is Miss Hawk…the love of Bert’s life. 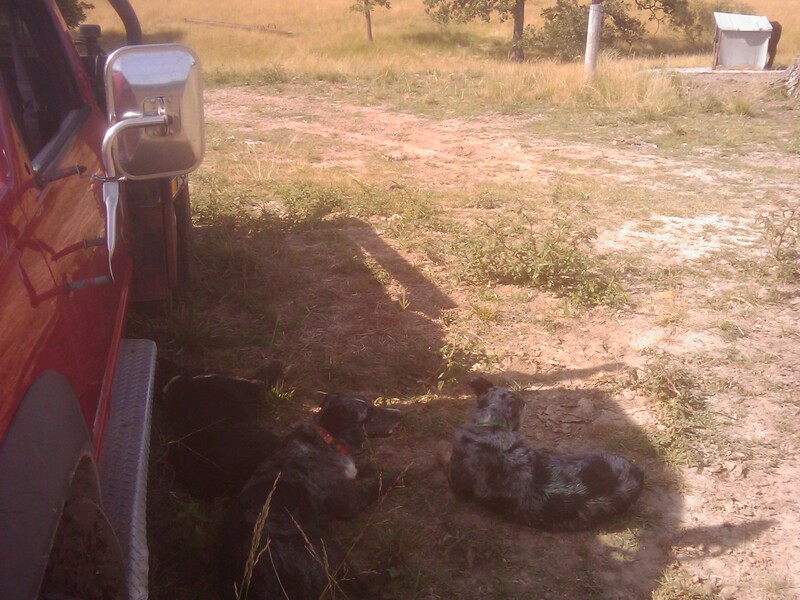 The darker blue merle cowdog is Bandit, the other blue merle is Miss Ducchess and both are by Bert & Hawk. Superb cowdogs, that is for sure. 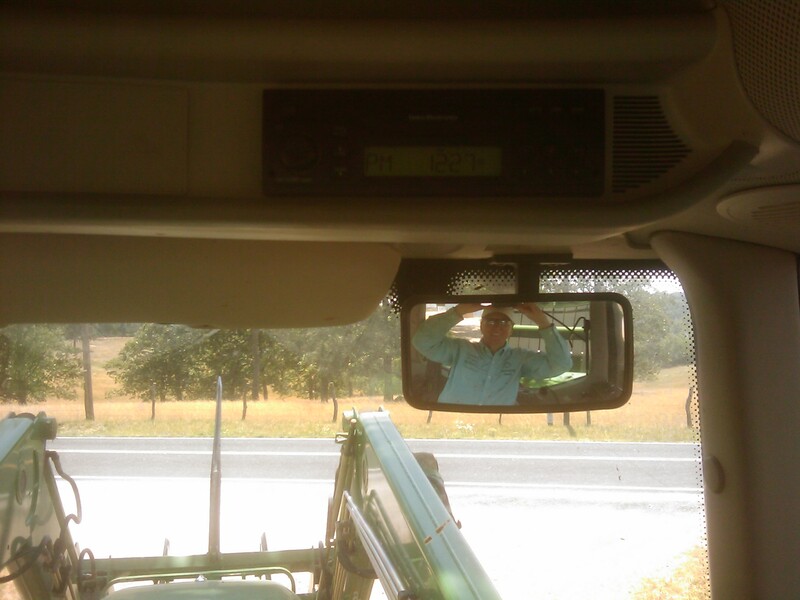 LOOK…I get to run my wipers! LOHMAN, MO, 9 a.m. CDT. Oh man, it is raining. 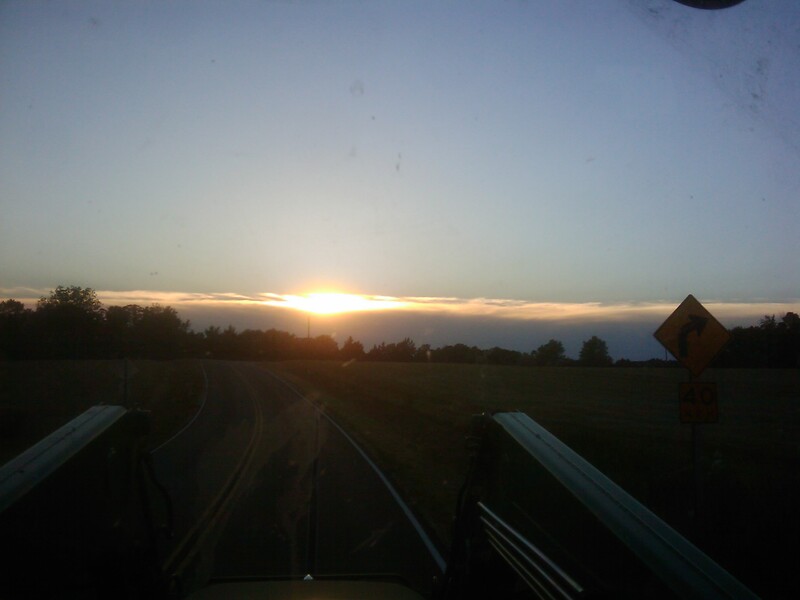 Not much, but it is clearing up the dirt in the air! 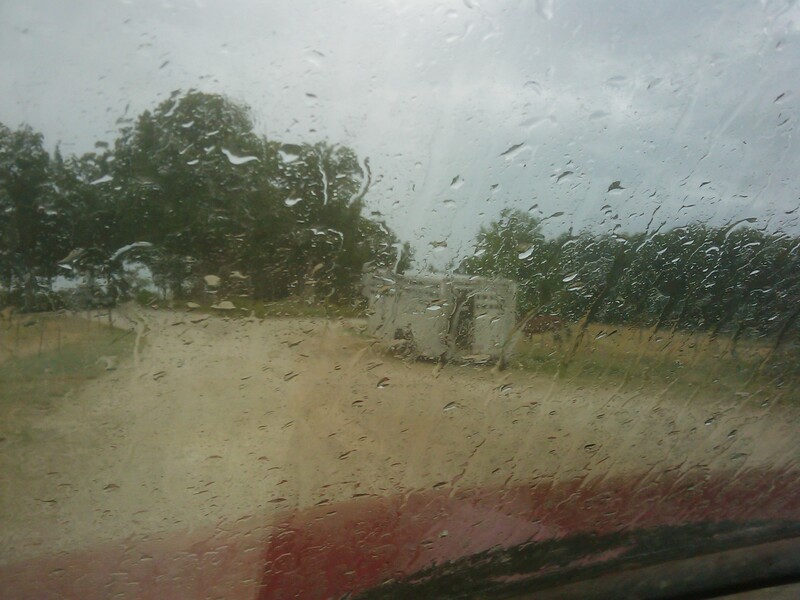 The steers are reaching upward and catching raindrops. Animals can talk, if you watch. What a treat, what a treat…even if it is only a couple tenths. Suppose to rain about 45 min. to an hr. 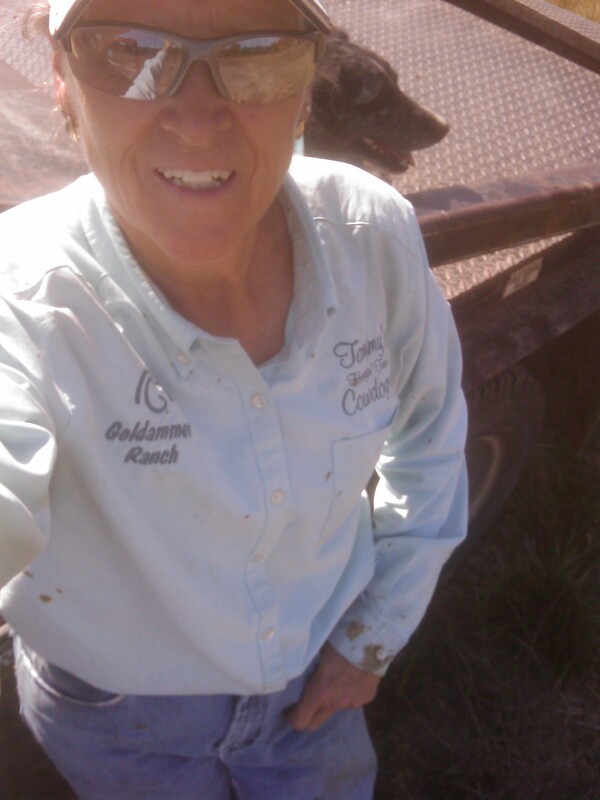 It won’t do the grass any good, but mentally the cattle & I feel a smile for awhile!